While many pet owners are treating their furry friends like family, massive retailers like PetsMart and Petco are earning remarkable profits, continuing to increase the number of their locations across the nation. According to the American Pet Products Association (APPA), it is estimated that Americans will spend an average of $40 billion on their pets in 2007, with about $10 billion spent on supplies and over the counter medicine.1 As American families continue to pamper their pets, these numbers will continue to grow over the next few years as retailers strive to meet pet owner demands. Aside from supplies, many retailers are also providing unique items, such as clothing, pet insurance, and even baby-sitting pets. 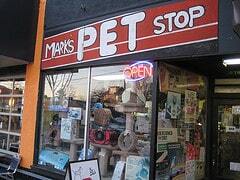 Several retailers are marketing tremendous amounts of pet products and services throughout the country. Among those becoming more popular are pet clothing, high quality pet food, and day cares. Many owners are spending extra money on gifts, as well as including their pets in their vacations. Creativity plays a major role in the creation of pet supplies; with everything from designer clothes to pet day cares. Many brands from a diverse range of industries are incorporating pets into their products. Many pet owners like to dress up their pets in costumes with hats, shirts, and even glasses. Several companies are finding it ideal to license their corporate name and logo onto several pet products.5 Harley Davidson might manufacture high quality motorcycles, but it has licensed its name on leather jackets and leashes for pets. Target, on the other hand, advertises a variety of pet products including loveseats, which can exceed the hundred dollar range.5 Among others who have incorporated pets into their products is Coach and Louis Vuitton, both of whom create luxury hand bags that can carry small pets.5 Indeed it is important for a dog or cat to have a home, but when brand name furniture or luxury purse bags that can carry small pets are introduced to the pet market, it becomes a matter of luxury. Indeed brand name clothing and furniture are not essential to a pet’s well being; however, several consumers are keeping their pets happy by considering them part of the family. Many pet owners have decided to provide health insurance to their pets. According to the APPA, “The percentage of dog owners who obtained health insurance coverage for their dogs remained steady in 2006 at 3%.”1 Although it might seem that only a few pet owners actually provide health insurance for their pets, many pet owners are finding it important. Most Americans are concerned about the well-being of their pets, keeping them a high priority. According to the Veterinary Pet Insurance (VPI) Co, the oldest in pet insurance company in the business, pet insurance is actually “less than the cost of human health insurance. They also claim that, “The average base VPI medical plan for a dog is between $22 and $28 per month, and between $15 and $18 per month for a cat.” Indeed, many pet owners are beginning to realize that pet insurance is available, sometimes offered through corporate insurance policies, all of which is leading to a continuing trend for growth in pet insurance. Several pet retailers, such as PetsMart, offer pet daycares called PetsHotel. In 2006, PetsHotel had 33 stores across 15 states. Dogs are given many of the same amenities that would be done at home such as watching television and kittens can play in carpeted mini houses. Other services can include taking care of the dog or cat as well as having the pet experience play session with other pets. For an additional cost, several other services including distributing tasty treats, having individual play time, and bathing the cat or dog are offered. Also, several pet day care businesses have opened up near airports to conveniently provide passengers with a place to take care of their pets until they return home from their trip. Once a decision is made on what particular pet business to create, it is important to understand what type of business to pursue, whether it is an online, franchise, or brick-and-motar store. An online store might seem great for purchasing pet medications; however, people still prefer to go on location to purchase pet supplies. Opening a franchise store is another option to consider, which can be beneficial due to franchisor support from all areas of business in marketing to financial assistance. If considering operating an independent pet retail store, consider that competition will be a difficult obstacle to overcome. Choose the location carefully, and remember to offer a unique competitive advantage. Most big pet retailers do not offer larger pet sales, such as dogs or cats; therefore, discovering a unique pet retailing niche and applying it to your business is important, especially when paired near a larger competitor. Effective websites Make it easy for customers to buy products and retain customer emails to inform them of product sales. Inventory Levels High turnover rates are important. Create more cash flow by selling old inventory and making self space for new inventory. Source: Pet Store Owner Resources. 3 Third Wave Research. Marketing Research and Technology” Household Spending for Pet Purchases, Supplies, and Medicine. September 18, 2007. 4 Pet Products and Services.& Encyclopedia of Emerging Industries. Online Edition. Thomson Gale, 2006. Reproduced in Business and Company Resource Center. Farmington Hills, Mich.:Gale Group. 2007. 8 Pet Age Retailer Report A Backer Publication. January 2007. ;http://www.petage.com/pdf/0607retreport.pdf>.